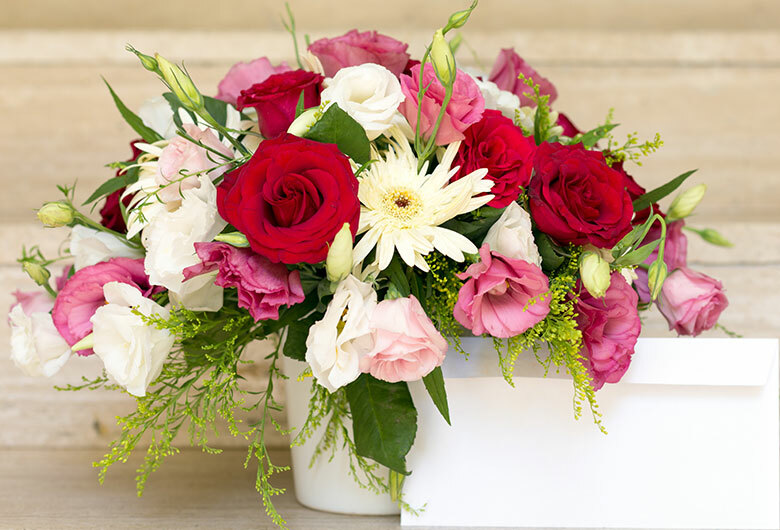 For the sweetest mother there?s only one bouquet that will do, and in this stunning arrangement, you get 18 mix roses with green leaves arranged to make it more pleasing with ?MOM? embroidered on jute wrap. Order it today to show your unconditional love for your mother.